AC attended the 1st meeting. He said the brief is being re-written to put more emphasis on pedestrians. HCC should record support for present brief. MP to forward brief to Nick Chitty. MP said ASL enforcement by LBH could be raised in a future meeting. GF said we should ask for North side cycle access direct to St Anne’s Road roundabout. It was agreed we should ask for the risk assessment on this, but not link it to the loop proposals as these are fundamentally aimed at inexperienced cyclists. MP will email draft consultant’s document to all present for comments. MP will send comments and ask for meeting with LBH. MP will give more comment on the pinch point, resurfacing and speed monitoring. MP will ask for update on progress with signing etc. It was agreed a ride exploring the Loop would be good. AR and SM could help organise HCC rides. AC will chase up the proposal for cycle ramps at Hornsey Station. PF will write a web site contribution on using ASL’s. PF suggested we buy a trailer for £200 with a good number of hitches. It was agreed PF will buy. 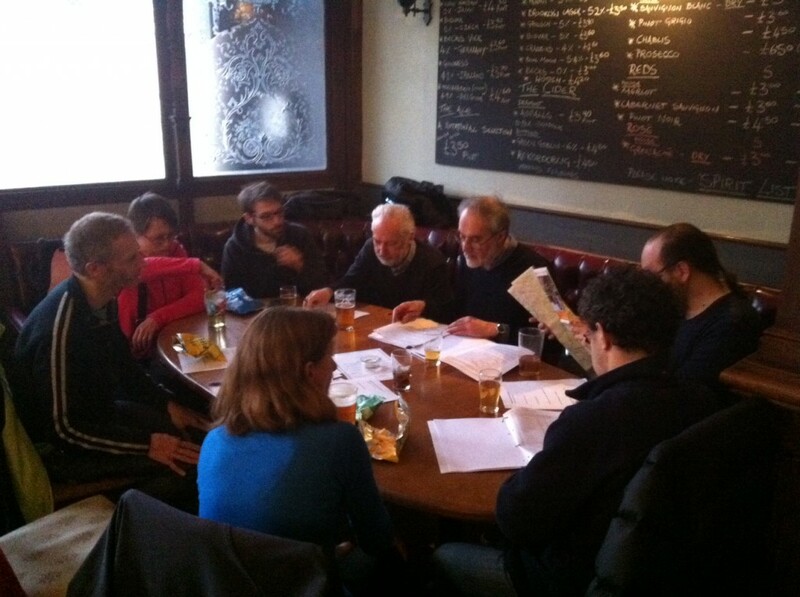 April meeting in action – Crisps, maps and plans, followed by Tomos Pizza!